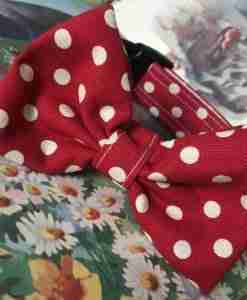 eNothing can brighten your day more than my Tropical polka dot dog collar and it’s available in two glorious colour ways. 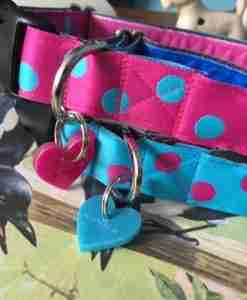 You can choose bright pink with turquoise polka dots or the reverse, bright turquoise with bright pink polka dots. 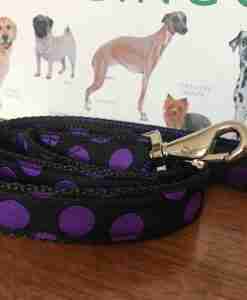 Both dog collars are lined with complimentary velvet for a softer feel. 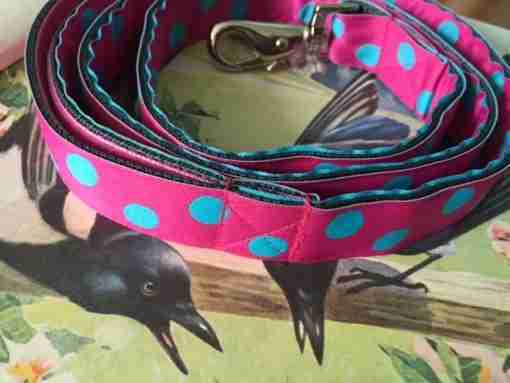 Wouldn’t these be perfect if you own two dogs who like to be seen similarly attired! 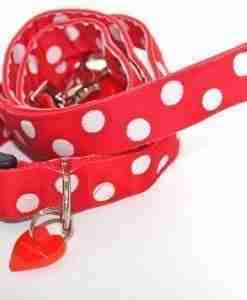 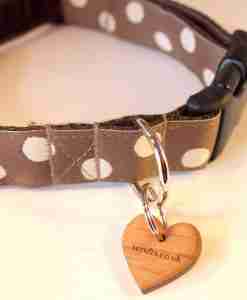 As with all of my Scrufts dog collars, the Tropical polka dot collars are topped with an exclusive heart shaped tag. 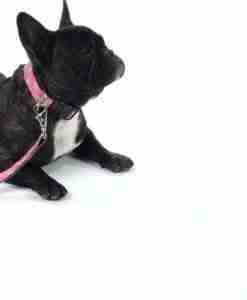 A quick note about sizes. 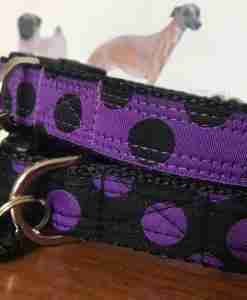 My Small is great for terriers, Medium for spaniels/collies and the Large for labs/retrievers. 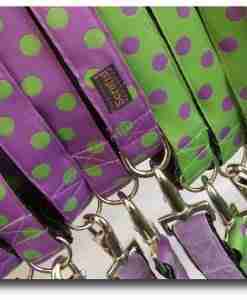 All of my collars and leads are 1″ or 2.5cm wide and so may not be suitable for your dog if it’s a puppy or toy breed so please take this into consideration when ordering. 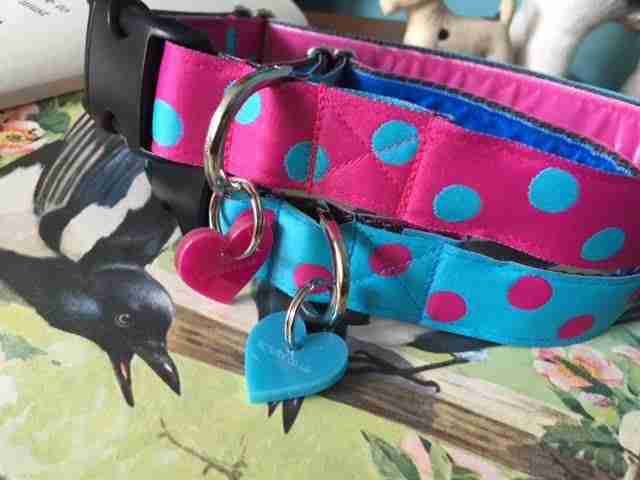 I bought my GSD this Blue with Pink spots set. 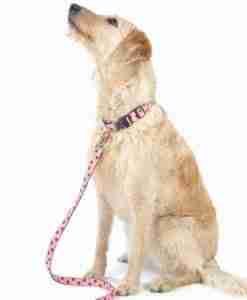 The collar doesn’t rub her coat as it has the soft material inside and it looks amazing on her dark coat. 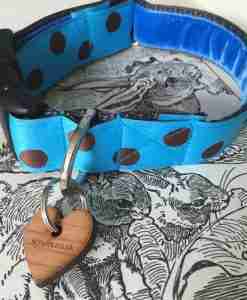 The quality of the products are superb and most definitely worth the money. 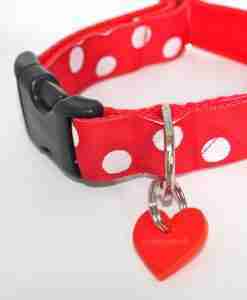 I would highly recommend these, I also bought the Green version for my Staffi and both look amazing.